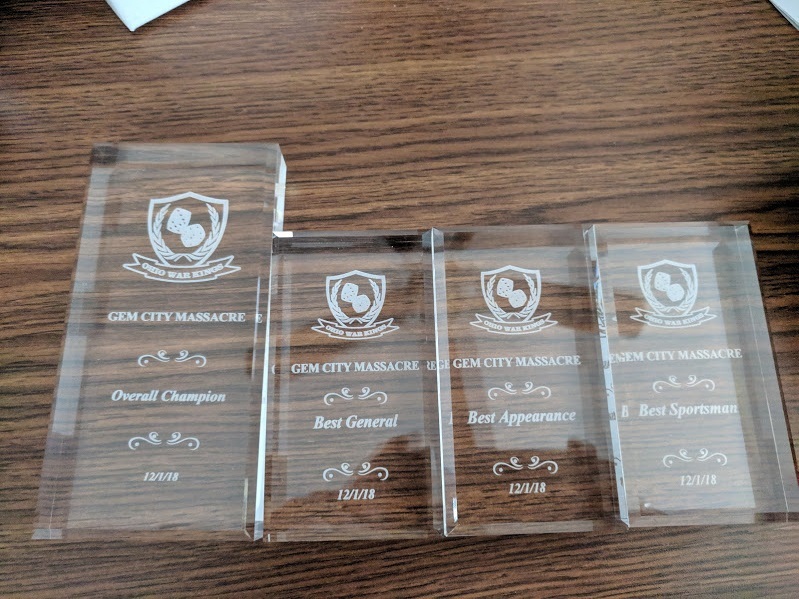 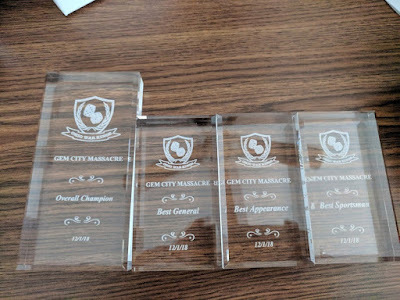 So this past weekend we held the 4th annual Gem City Massacre in Dayton Ohio. 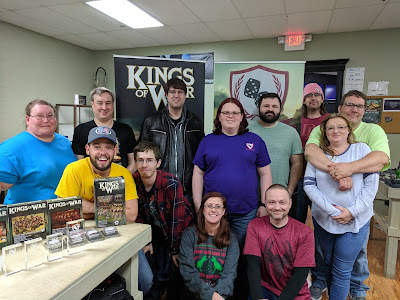 While there dreaded "real life" got in the way a bit so we didn't have quite the attendance of last year, a great time was still held by all. Once again Kara Brown and Amy Stamper ran the event with no issues at all. I was set up as the ringer, but since we had an even number of players I helped with the scoring. (Back row) Kara, Keith, Tom, Amy, Andrew, Erich, Eric. 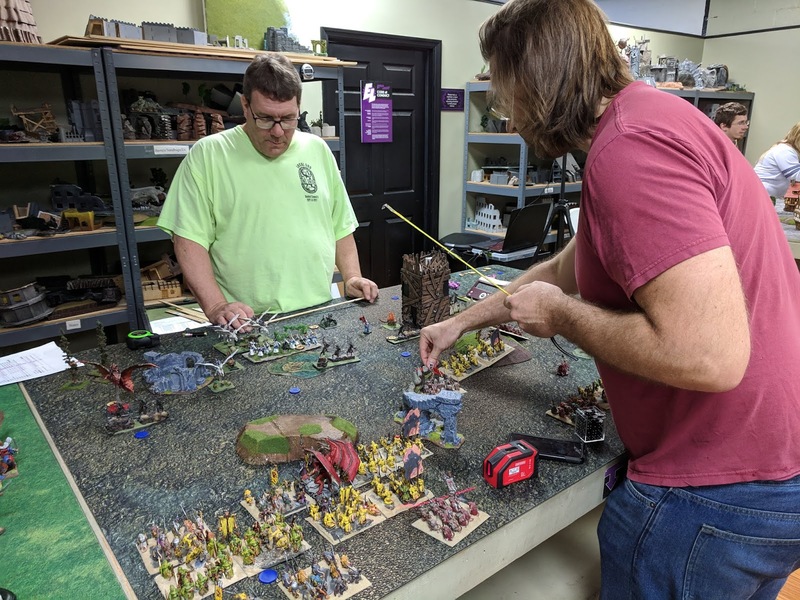 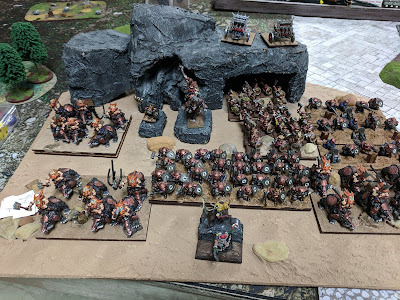 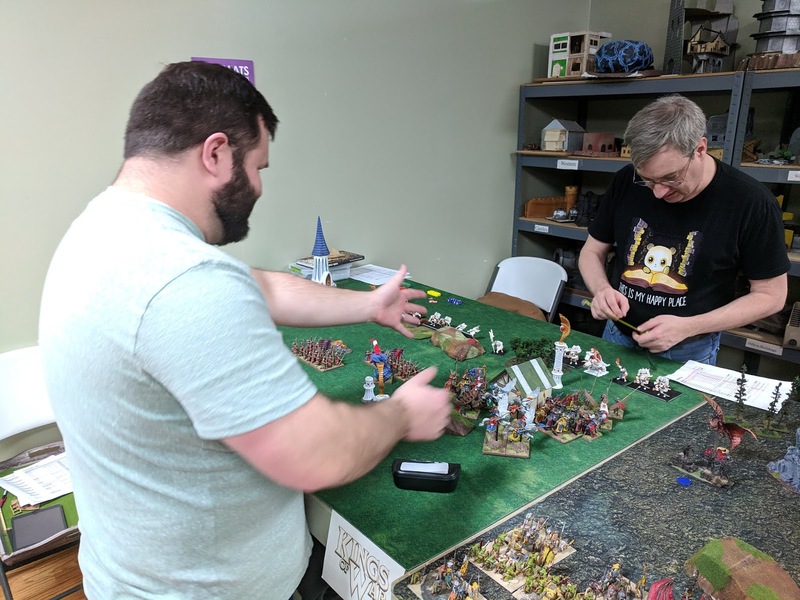 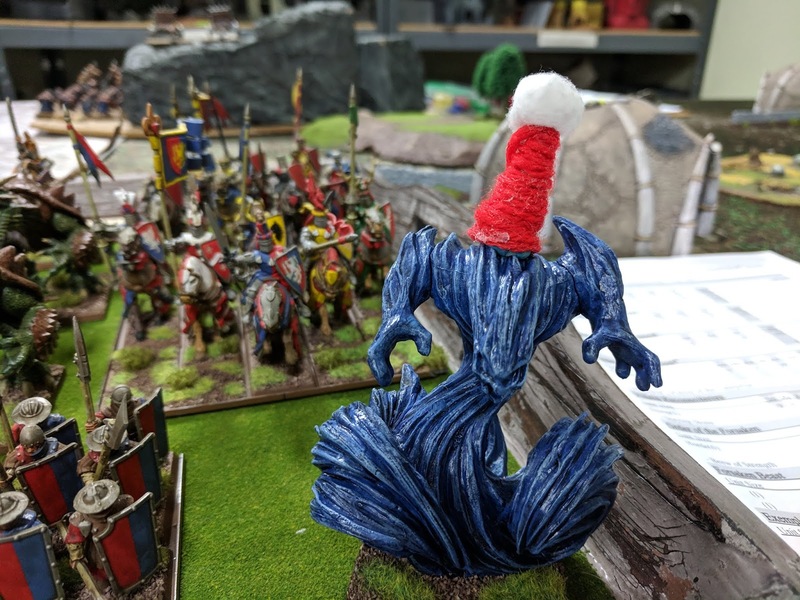 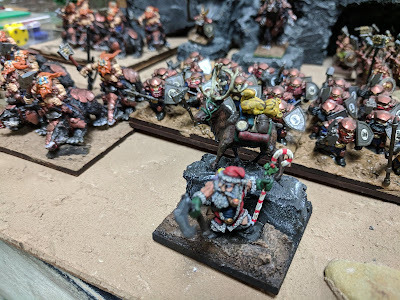 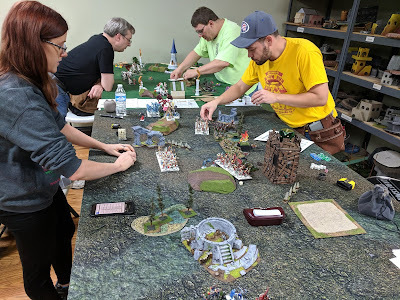 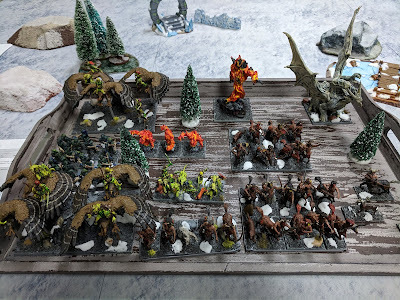 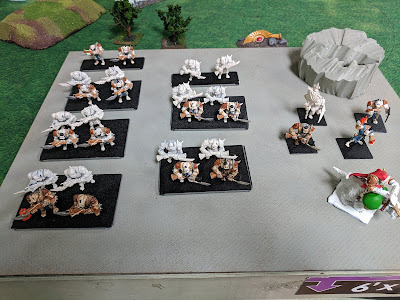 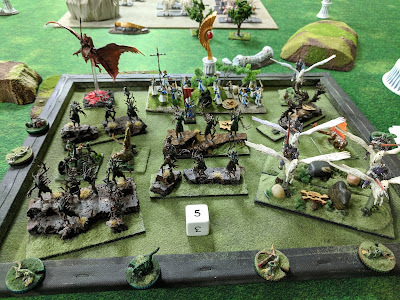 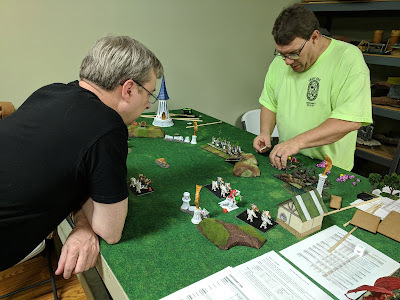 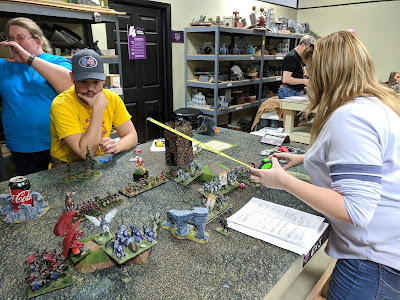 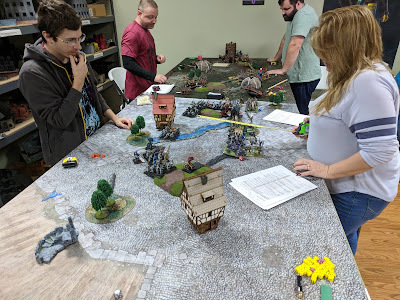 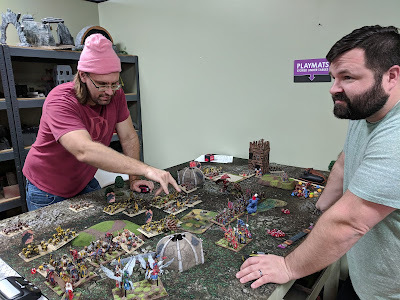 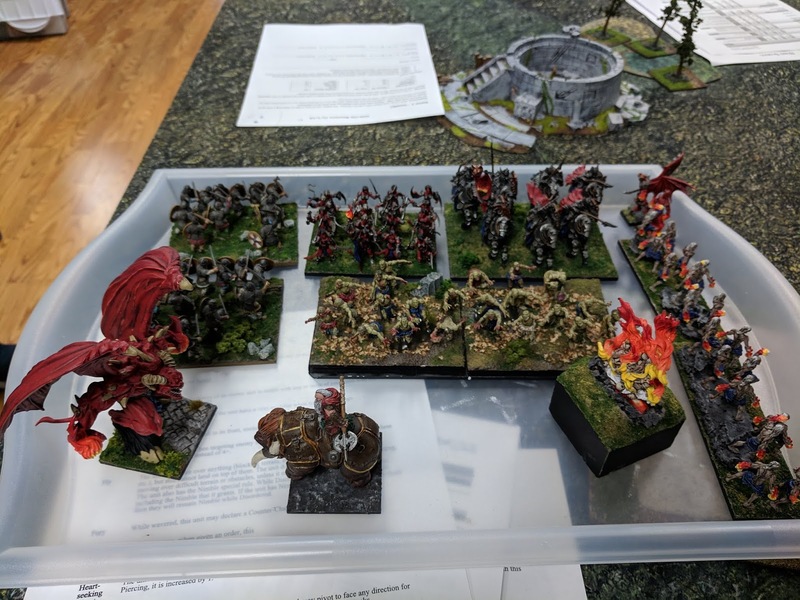 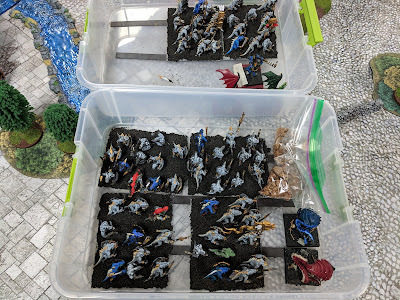 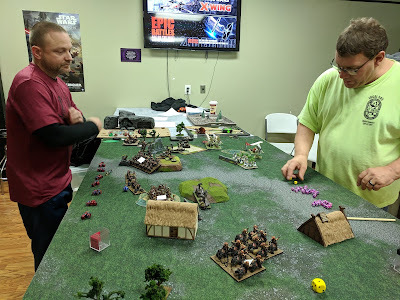 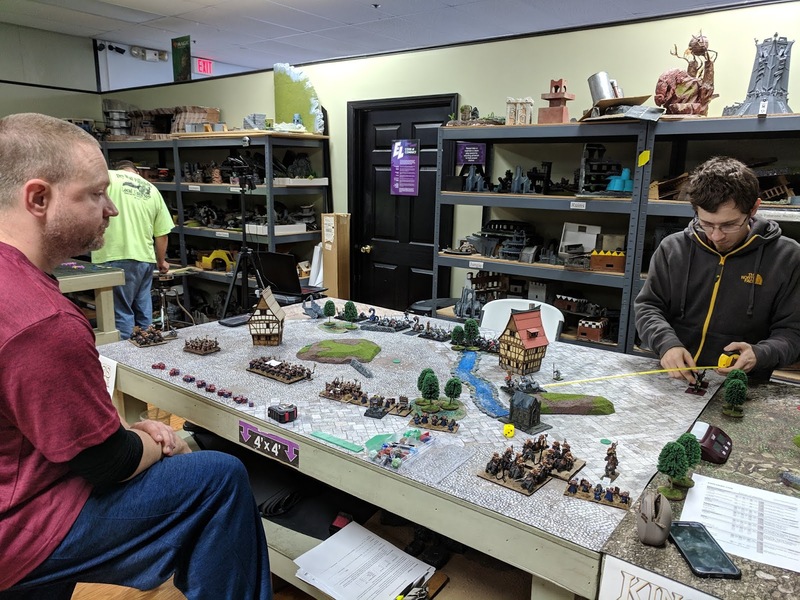 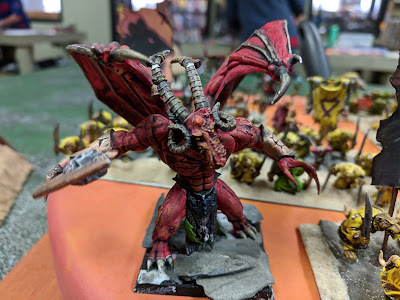 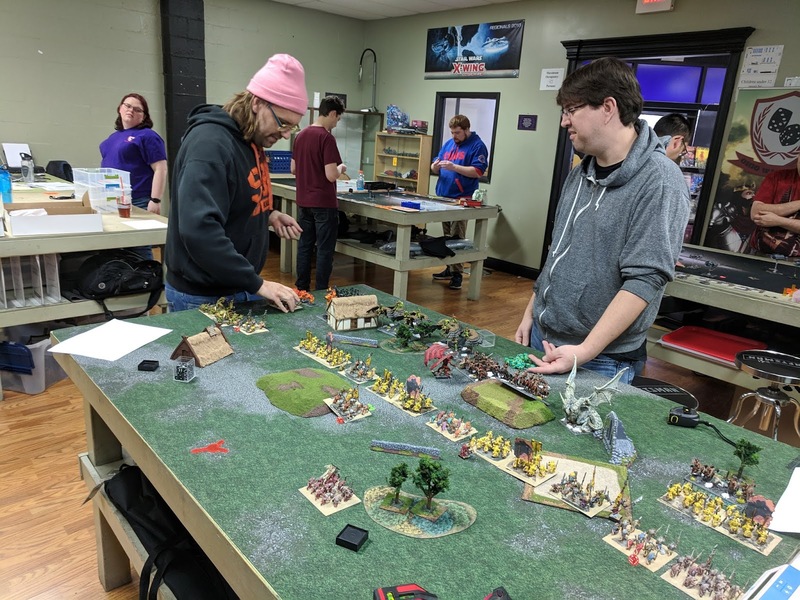 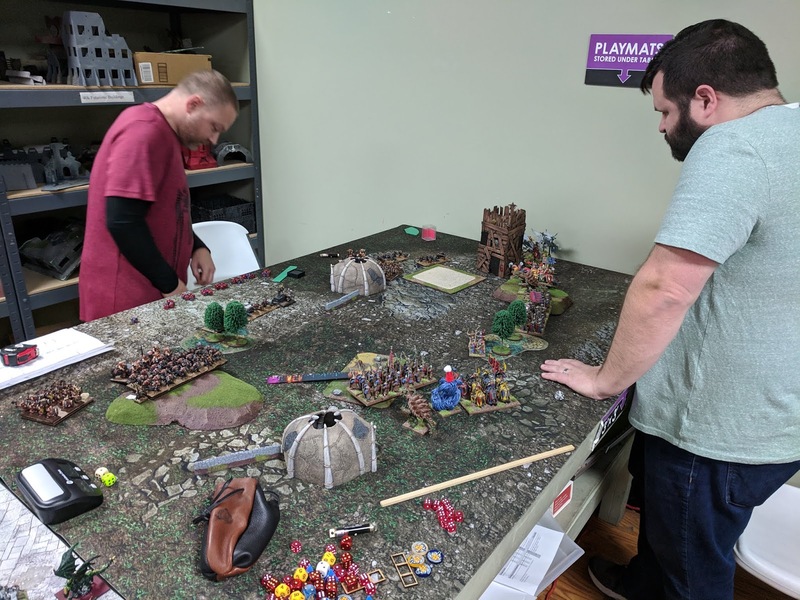 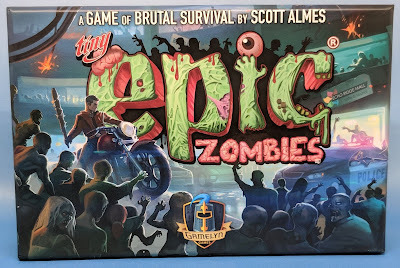 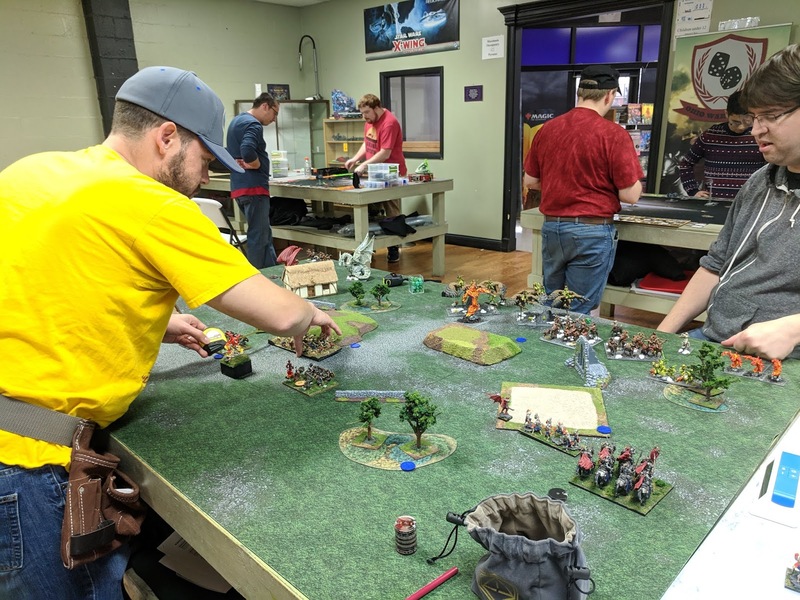 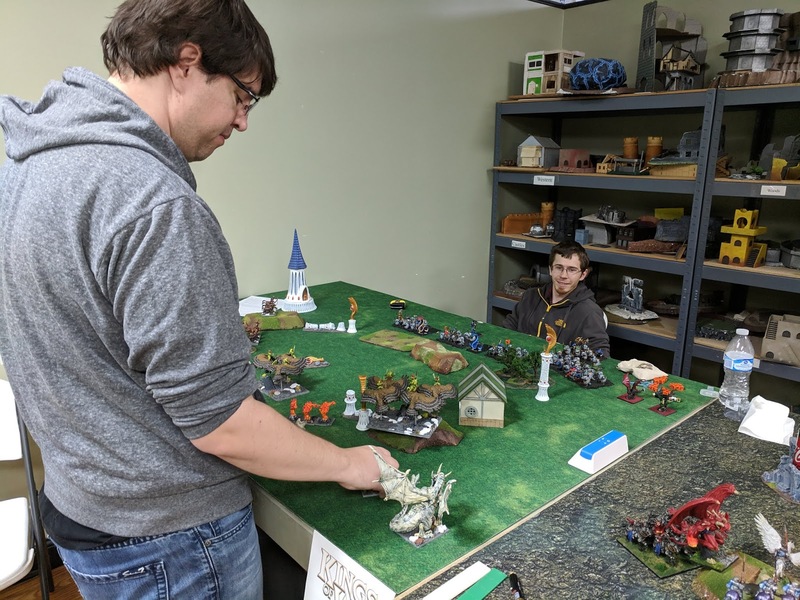 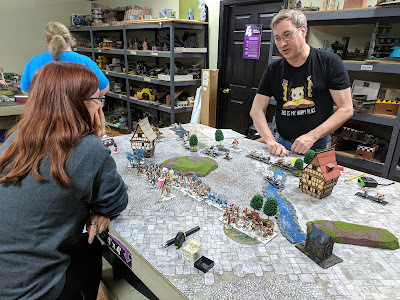 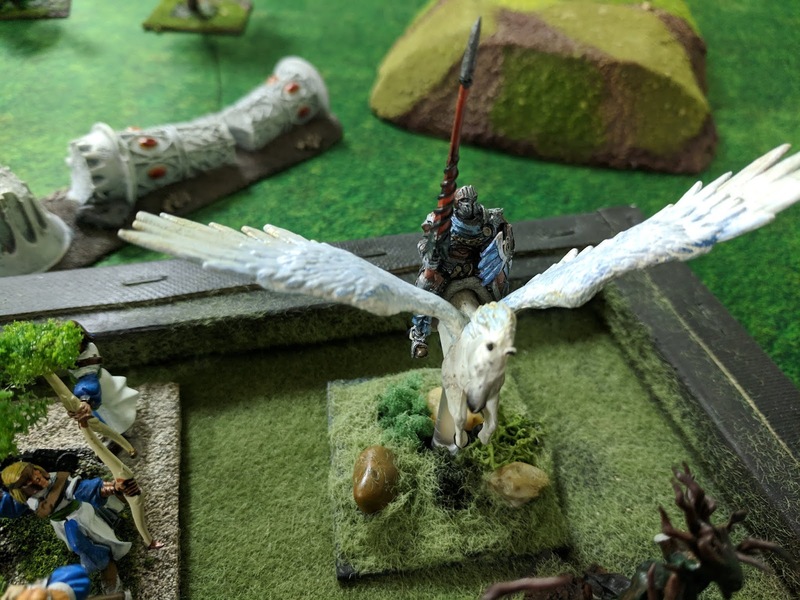 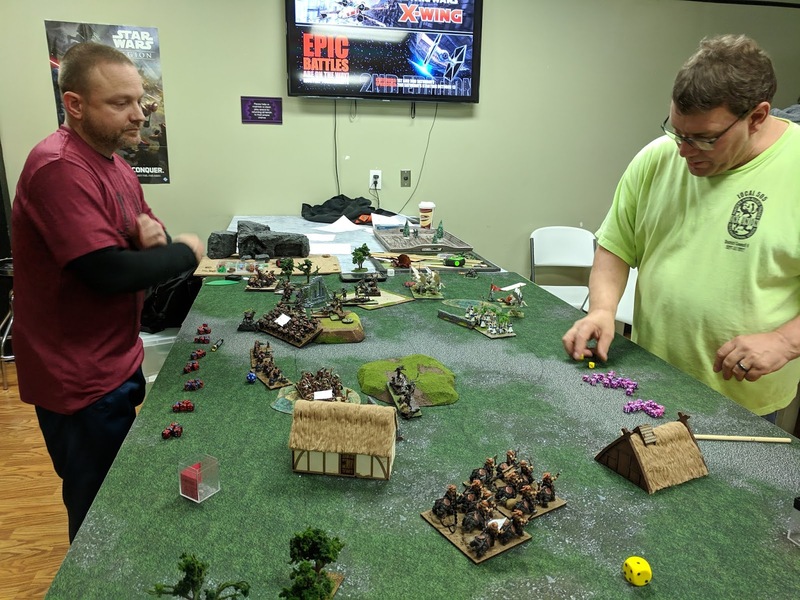 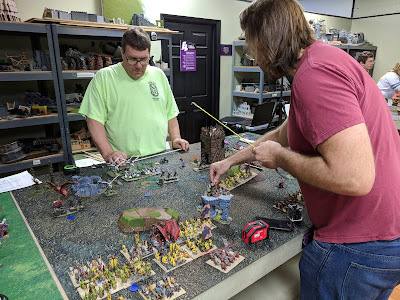 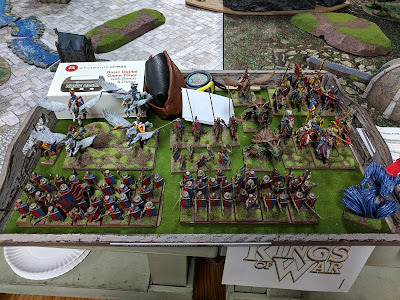 We had ten players for a rainy day at Epic Loot in Centerville OH. 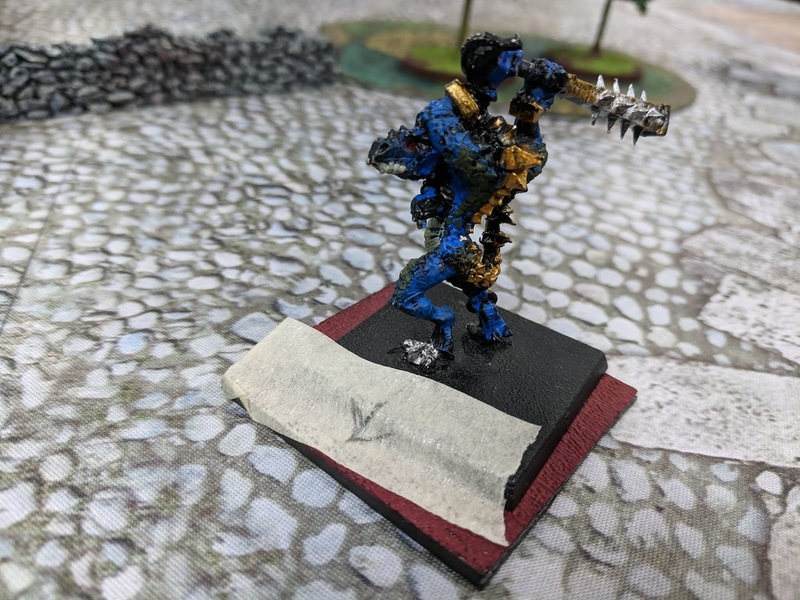 The first round started just a little bit late. After the first round we took a break for lunch and paint judging. SP 8, Me -, Re -, De 6+, At -, Ne 14/16, Pts Free! 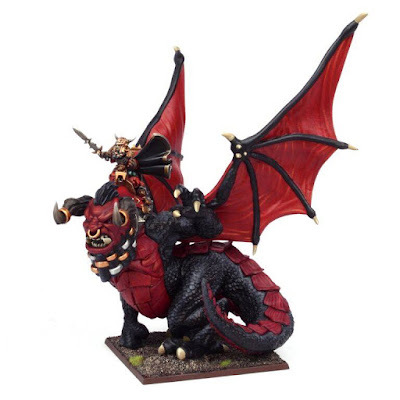 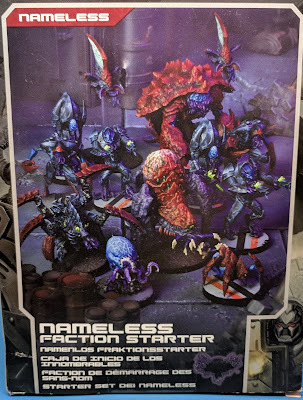 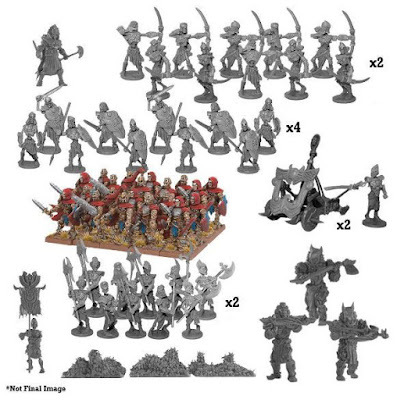 So in addition to judging the entire army, everyone also voted for their favorite special character model. 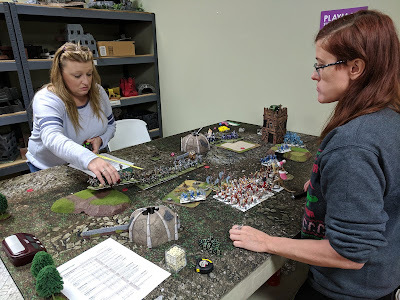 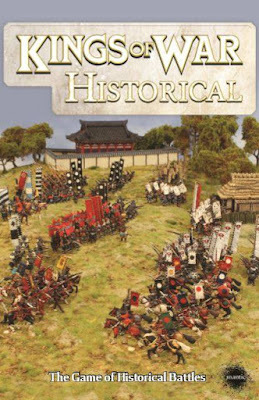 Kim v Grace - would this be for the title of Queen of War? Then we quickly went into round three! 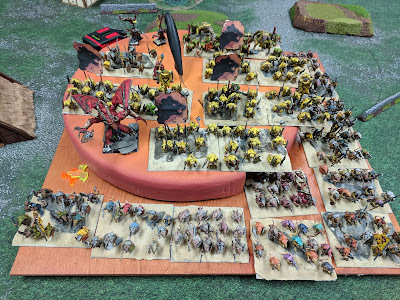 And the three games were done! 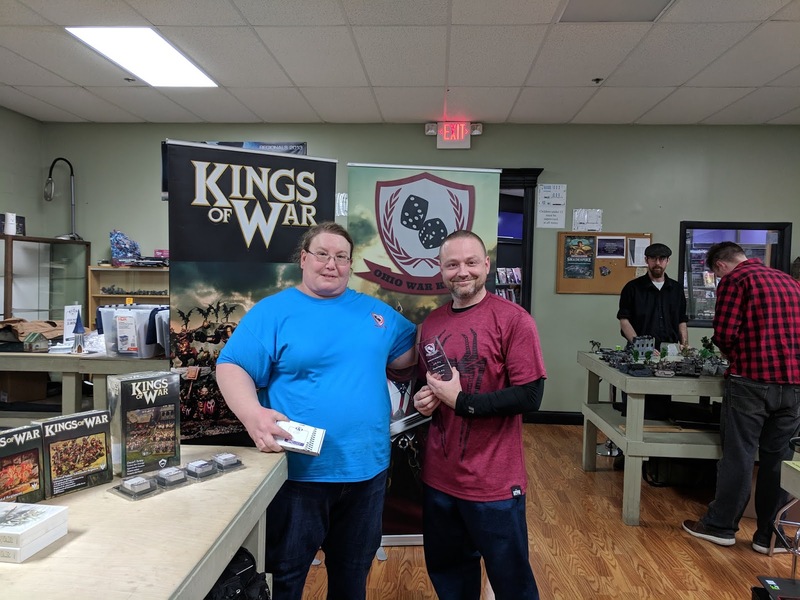 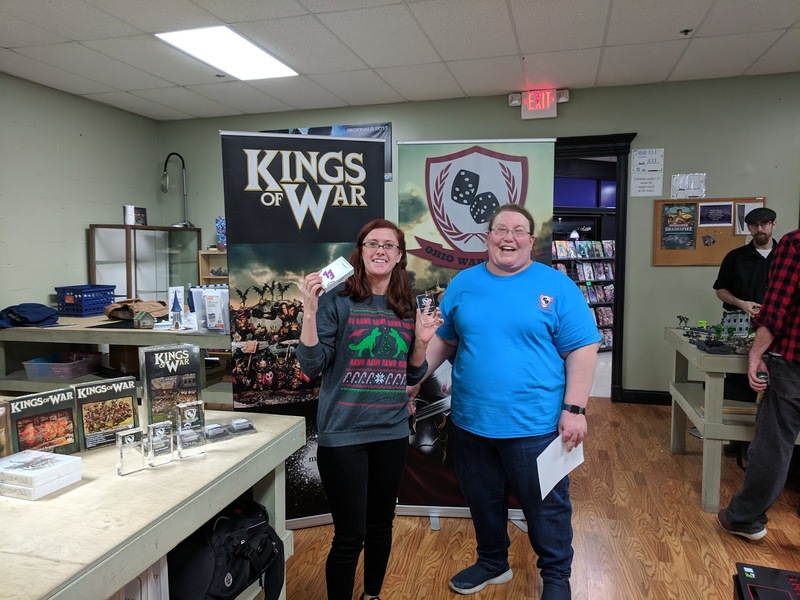 I want to thank Kara & Amy again for running a great event for the Ohio War Kings. 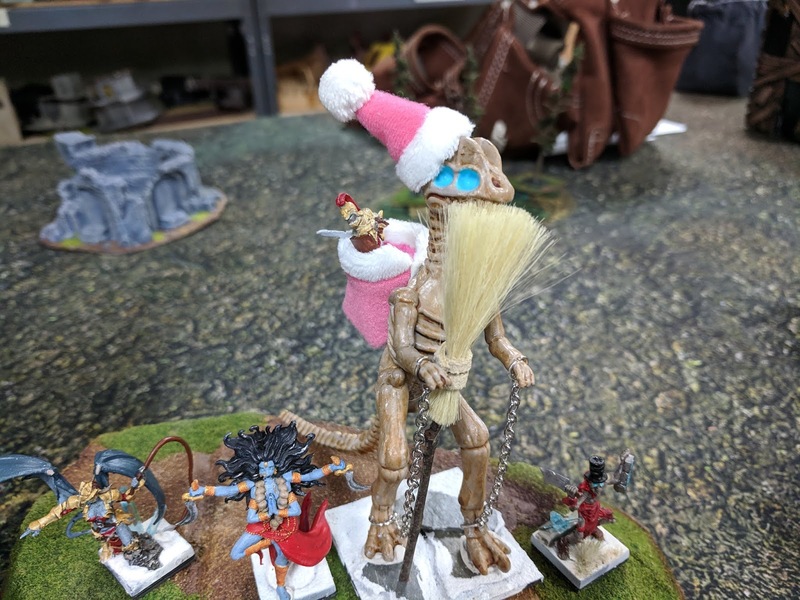 Everyone has a lot of fun. 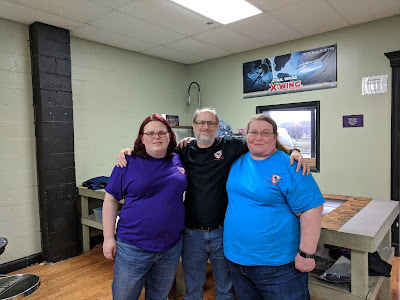 Amy & Kara, with some bald guy photo-bombing them. Who lets this kind of riff-raff into these things anyway? 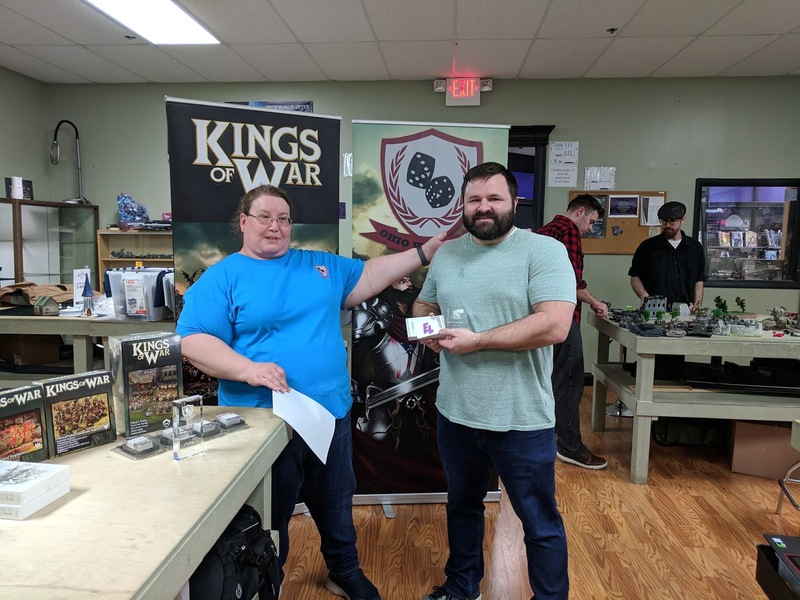 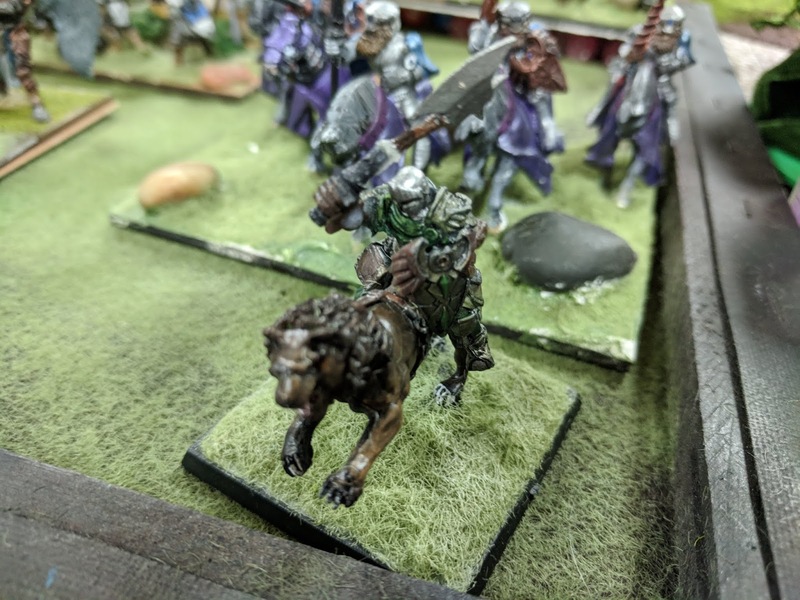 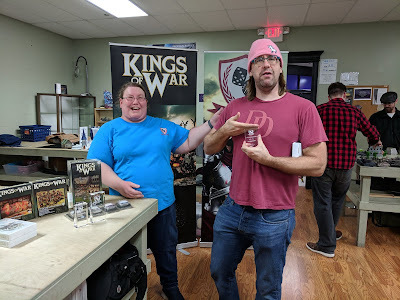 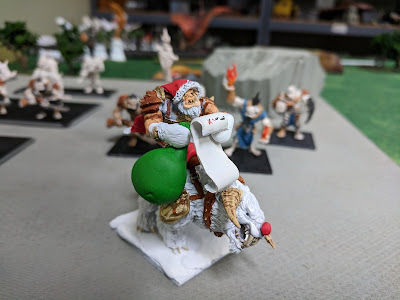 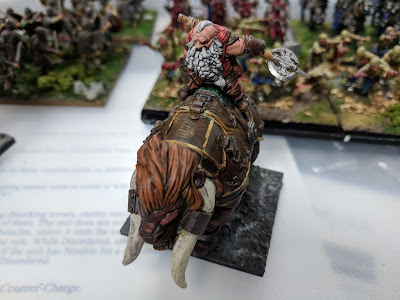 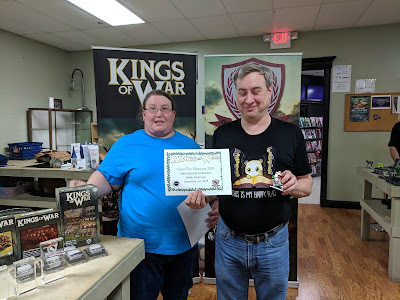 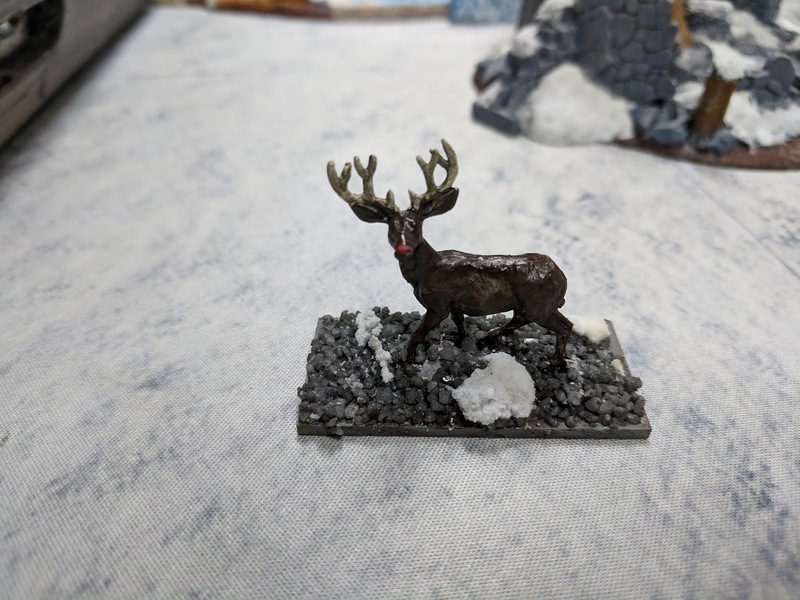 Keith Ambrose won the Best Special Character award, as well as the Dice Hate Me award (for last place). 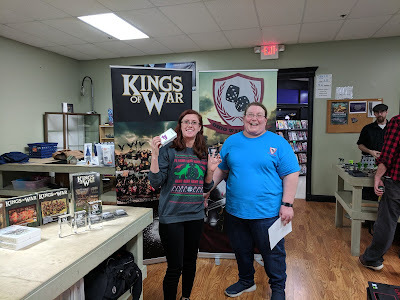 Grace Patterson won Best Sportsman, getting voted favorite opponent by all three of the people she played. 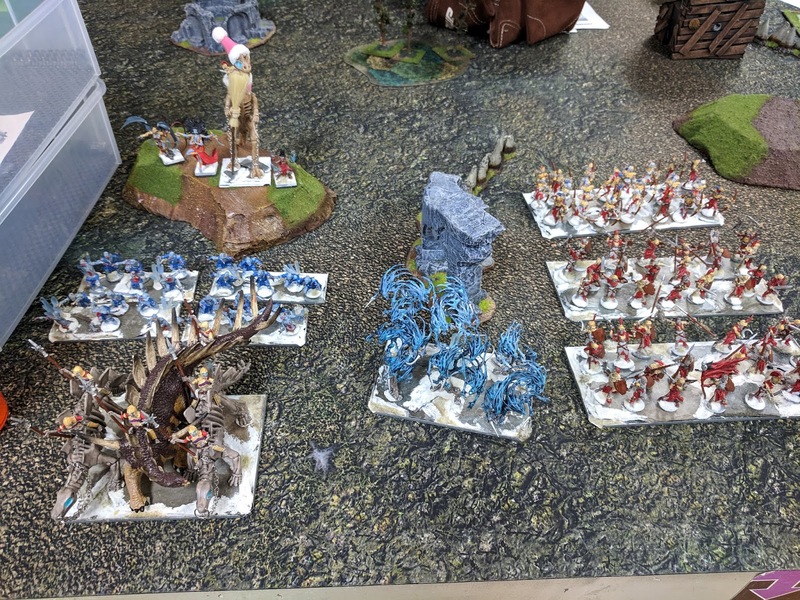 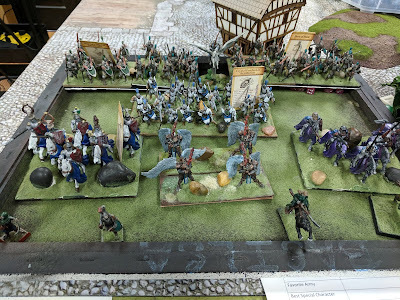 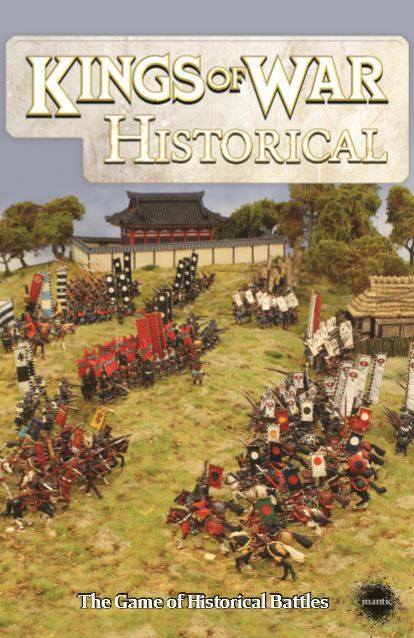 You can see all the scoring over on warscore. Thanks to all the players and organizers for another great event, and we look forward to doing it again next year!